Top 5 Interesting Facts About Your Eyes. The human eye is only second to the brain in terms of complexity. The eye is composed of over 2 million moving parts and can process 36,000 bits of information every hour. The cornea is the only living cell in the human eye that does not have a direct connection to a blood vessel. The reason there is no blood vessels in the cornea is that they would interfere with our ability to see. In terms of relative size the muscles in our eyeballs are the strongest muscles in our body. The muscles in your eye are constantly moving and readjusting, they are even moving while we sleep, as our eyes are constantly moving during the REM cycle of our sleep. Due to our brain doing a clever bit of piecing things together, we are unable to see that blind spot each of us have in the center of our vision. This blind spot is caused by a missing light receptor in your retina. The reason there is a missing light receptor is because the optic nerve that reaches the back of the eye, all the way to the surface of the retina, takes up space where a light receptor could be. 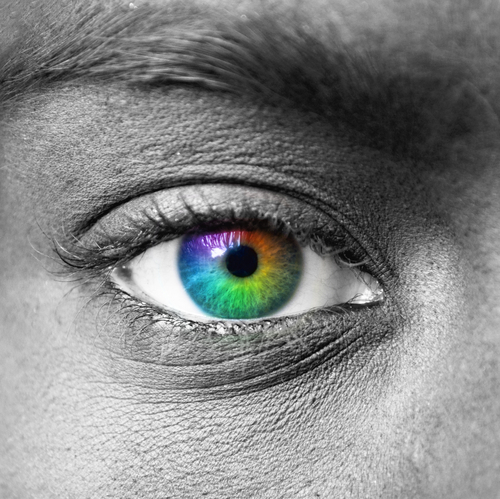 Your eye is the one part of your body that doesn't need rest to function at 100%. You should however give the external muscles of your eyes some rest to assure proper function. The same goes for your eyelids.